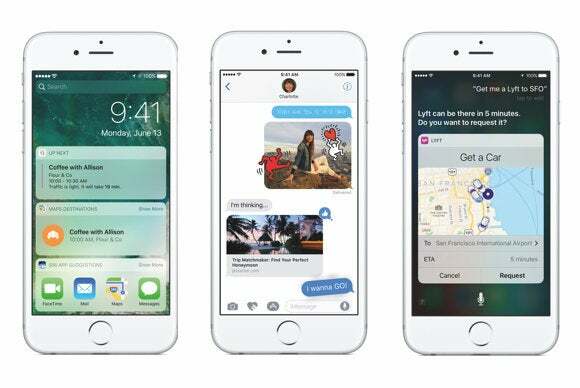 The new option arrives on your iPhone in September. Apple just ramped up its quest to turn your iPhone into a life-saving health device, but this time the life being saved isn’t your own. With iOS 10, the company is adding an option to the built-in iPhone Health app so you can sign up for a national organ donor registry. Apple’s partnership with the nonprofit organization Donate Life America allows you to quickly sign up to become an organ donor in the iOS Health app. 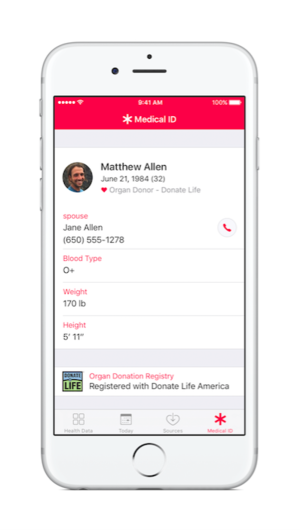 In case of emergency, medical professionals will be able to see your organ donor status on your iPhone’s Medical ID card, which is accessible from your lock screen. The company’s decision to build that feature into iOS 10 was a personal one, Apple CEO Tim Cook told the Associated Press. Apple founder Steve Jobs needed a liver transplant during his battle with pancreatic cancer in 2009. “Watching and seeing him every day, waiting and not knowing—it stuck with me and left an impression that I’ll never forget,” Cook said. Cook offered Jobs a portion of his own liver, but the late CEO ended up receiving a liver transplant in Tennessee. He died two years later. More than 120,000 people are currently waiting for an organ transplant, and a new applicant is added to that list every 10 minutes. Why this matters: Cook said the new Health app registry could lead to a “substantial increase” in registrations. Registering to become an organ donor is easy enough to do offline, like at your local DMV, or online by downloading a donor-specific app, but never before has it been built into an operating system. The Associated Press noted that Facebook had a similar initiative back in 2012 which encouraged tens of thousands of people to sign up, and there were as many as 13,000 registrations in one day. But that initative dropped off because donor registries were at the state level and required more than just few taps to sign up. That’s no longer the case now that Donate Life has created a national registry.